Dr Posnack continued: “We're exploring the potential—and inadvertent risk of plastic medical devices, which have revolutionized the medical field. We're investigating whether these hospital-based exposures may cause unintended effects on cardiac function and looking at ways to mitigate chemical exposure. 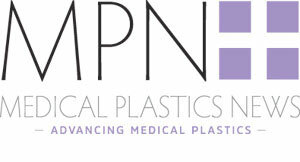 We hope this preliminary research incentivizes the development of alternative products by medical device manufacturers and encourages the research community to study the impact of plastics on sensitive patient populations."